Storm Team 4's Janice Huff with your forecast for Tuesday, September 18. Thunder boomed in Manhattan as water flooded some of the busiest subway stations in the city, while accidents shut down New Jersey roads as the remnants of deadly Florence tore across the region, days after leaving more than 30 people dead on its path of destruction through the Carolinas. Flash flood warnings were issued for Somerset, Middlesex and Mercer counties in New Jersey through mid-afternoon Tuesday, while about two dozen other tri-state counties, including all five boroughs of New York City, were under a flash flood watch until early evening. Click here to see the latest weather-related alerts in your neighborhood.Follow StormTracker 4's live radar here. 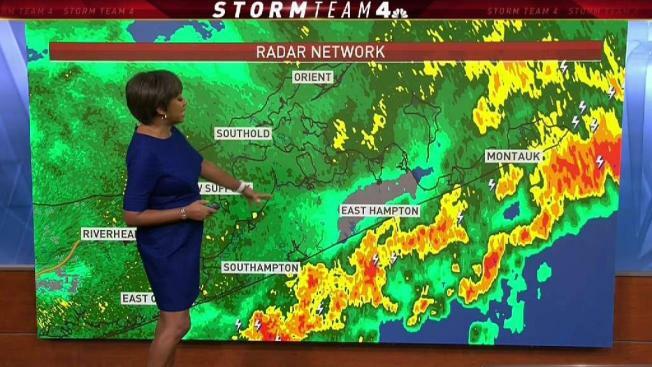 Showers and a few embedded downpours fell across the region ahead of the morning rush Tuesday, but Storm Team 4 said a strong round of storms was expected to fire up later in the day. By afternoon, midtown skies were dark, booms of thunder echoing in the rain-drenched streets as water poured down. Florence's remnants created a subterranean waterfall at Penn Station on Tuesday, briefly forcing s subway service change. See more dramatic photos from Tuesday's storms here. High water was also reported in New Jersey -- from Newark to New Brunswick to Princeton -- though there was no immediate word of significant injuries. Many places in the tri-state saw an inch or 2 of rain, while the suburbs north and west of the city were getting up to 3 to 4 inches before the system was expected to move out. The remnants of Florence, now a post-tropical cyclone spinning 100-plus miles northeast of the city, will likely pass quickly. The skies should clear again on Wednesday with a high of 80 degrees. The tri-state should stay dry for several days before the possibility of an afternoon shower on Sunday. 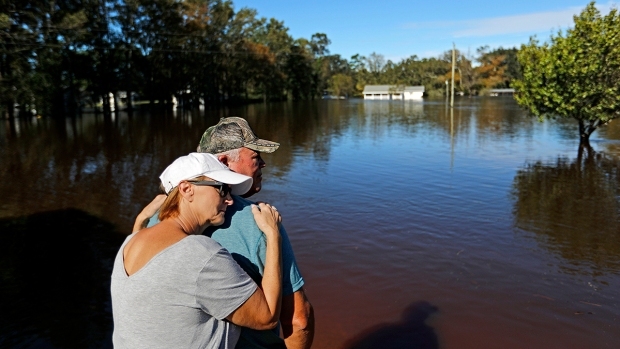 In the Carolinas, the storm dumped more than 30 inches of rain in spots in a matter of days and caused catastrophic flooding. The death toll climbed to at least 31 Monday night -- 25 in North Carolina, five in South Carolina and one in Virginia. Video shows the remnants of Hurricane Florence sweep into Summit, New Jersey, tearing down trees and power lines. Tracie Strahan reports. Florence also spawned a deadly tornado outbreak. 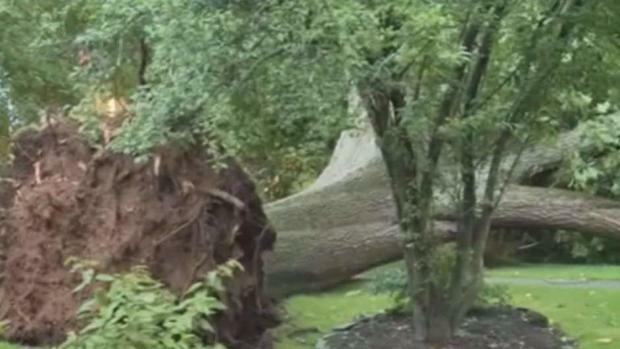 And at least one woman in New Jersey says she believes a tornado rolled through her yard, uprooting trees, as the remnants of Florence began hitting the tri-state area Monday. "I believe I saw a tornado," Rachel Bendock, of Summit, said. "I've never seen stuff fly and circle like that before." The National Weather Service hasn't confirmed a tornado touched down.